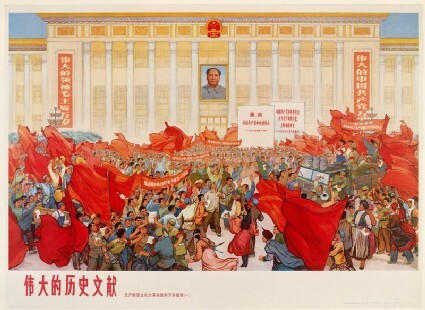 The ‘great historical documents’ in the title refer to the two booklets with white covers and red headings depicted in front of the Great Hall of the People in the centre right of this image. 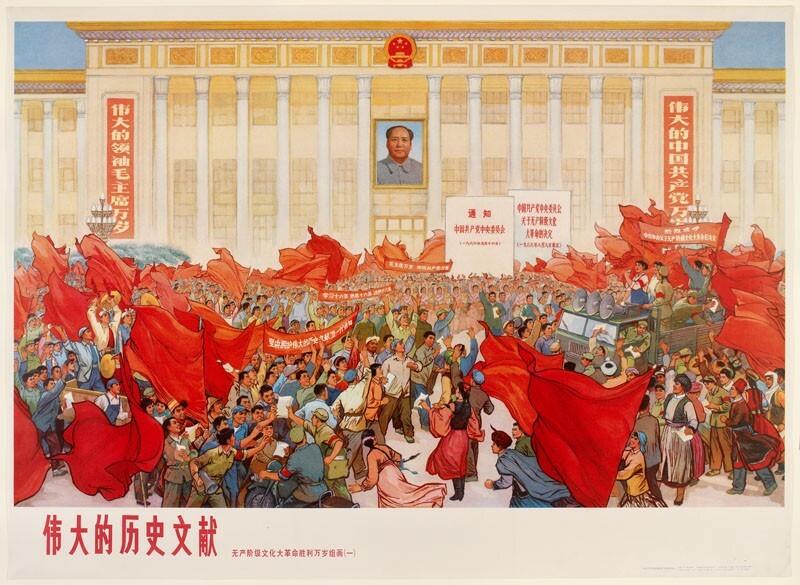 On the left is the Notification from the Central Committee of the Communist Party of China , also known as the ‘May 16 Notification’, which declared the launch of the Cultural Revolution. The document on the right is the Decision Concerning the Great Proletarian Cultural Revolution by the Central Committee of the Communist Party of China , also known as the ‘16 points’, which was passed three months later and launched the denunciation of Liu Shaoqi and the rise of Lin Biao.